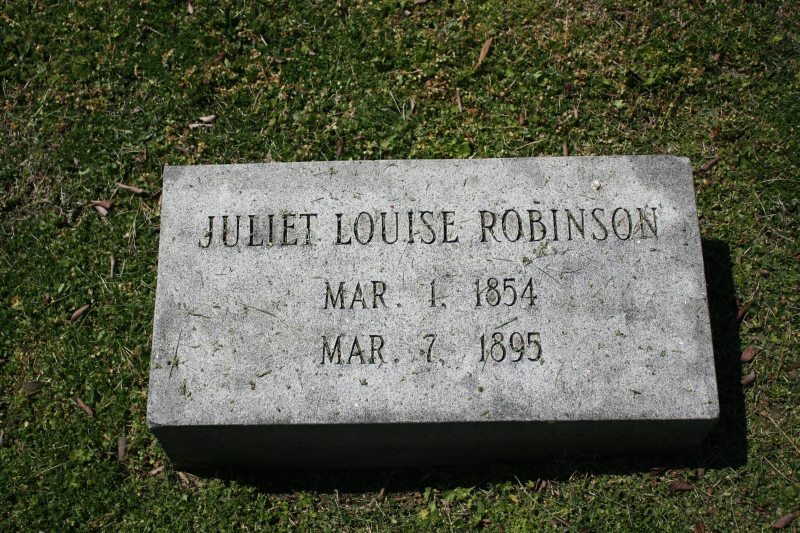 Juliet Louise Robinson was born in 1854 to William Robinson (a native of England who worked as a merchant in the grocery business) and India M. Robinson. In the absence of finding what I was looking for, I’ll go ahead and present what I do know. 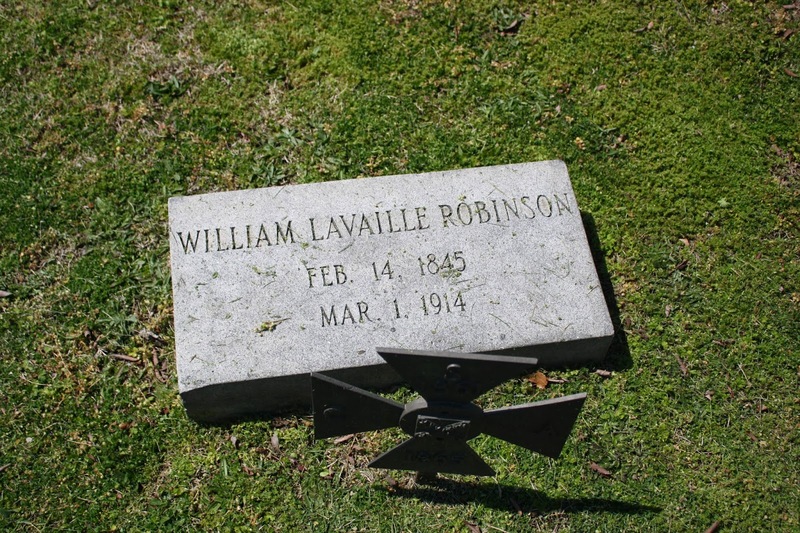 In 1870, the Robinson family lived in Danville and consisted of William (the father), India, Juliet (aged 16), and Dr. William L. Robinson (Juliet’s future husband, who was then 25). 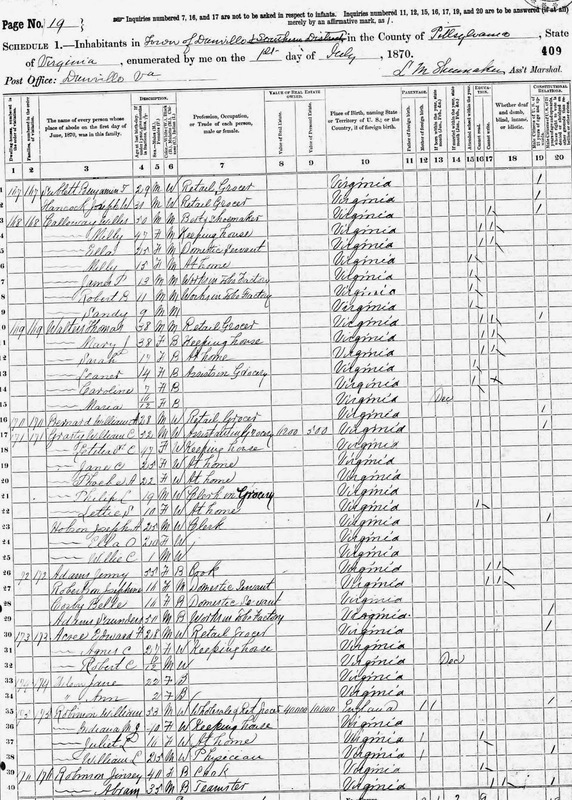 Relationships on that year’s census weren’t listed, so it’s possible that William L. was just a boarder and the names are coincidental. Dr. Robinson was born in Cumberland County, Virginia, in 1845 to Thomas Robinson of England and Martha Ann Isbell Robinson. By the time he lived with Juliet’s family he’d served in the Civil War for several years and survived being a prisoner of war. He graduated from medical school in 1869 and served as Vice-President of the Southern Surgical and Gynecological Association. City directories in the early 1890s list the Robinsons living at 753 Main Street, at the far end of Millionaire’s Row. Dr. Robinson also ran his practice from the home. 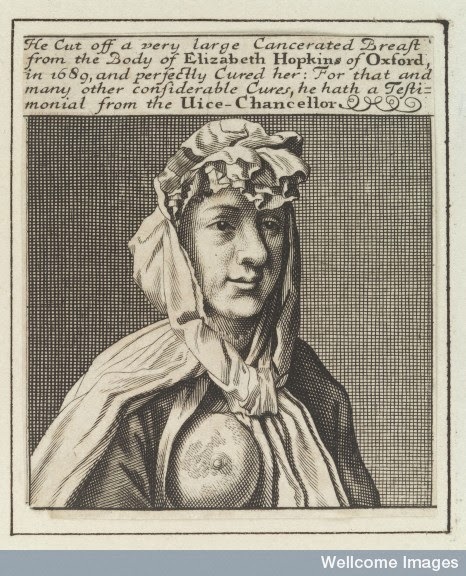 According to the mortuary report, Juliet died from “cancer of breast.” It’s highly likely that she died in the family home. The entry also states that Ferrell & Co. were the undertakers used for her burial. She was 41 years old. If her death notice is accurate, she had been ill for about a year. 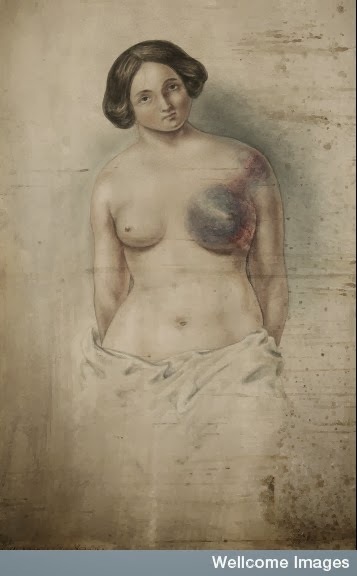 Another reason for the delay in Juliet’s post was that I wanted to find more information about breast cancer treatment in the late 19th century in our area. I couldn’t find anything that specific. 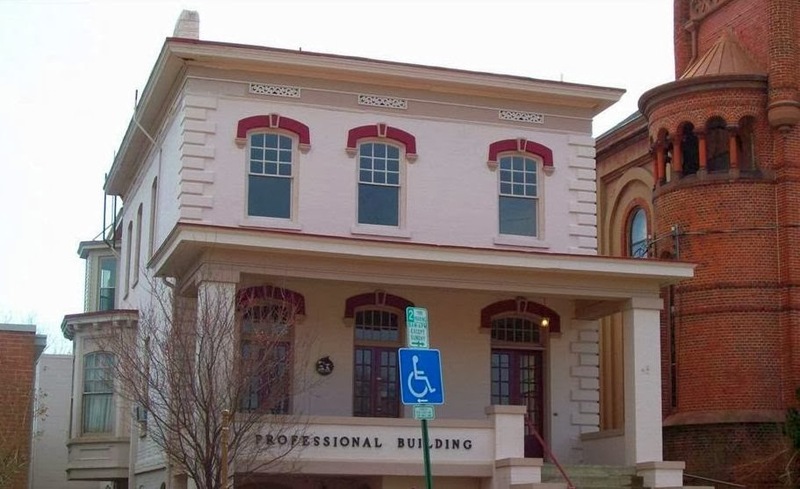 It’s impossible to say what kind of treatments Juliet sought to alleviate her pain or fight the cancer, but being married to a doctor probably gave her an advantage over other people stricken with the disease in the 1890s. 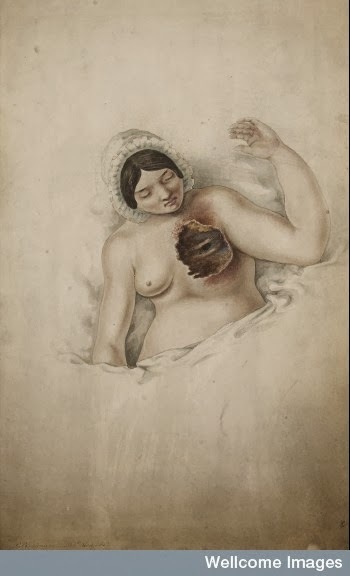 One source reported that from 1890 to the mid-1970s one of the most popular breast cancer treatments was radical mastectomy. 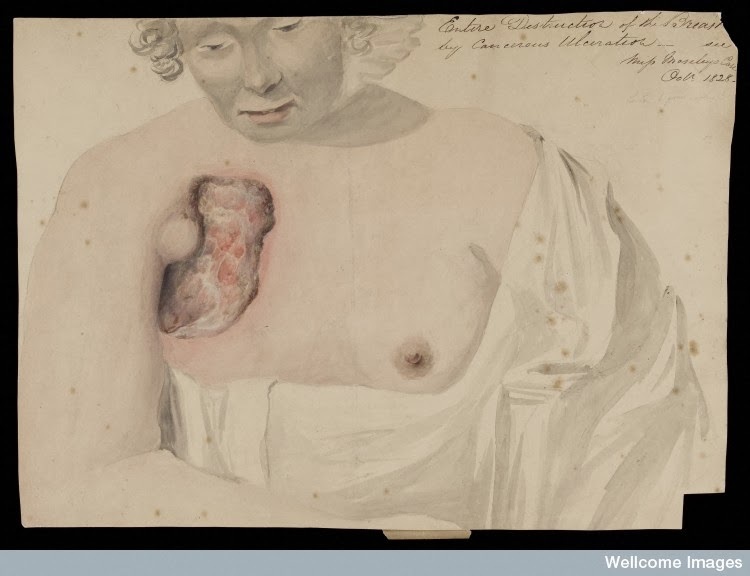 This surgery involved removal of the breast, chest wall muscles and axillary lymph nodes. 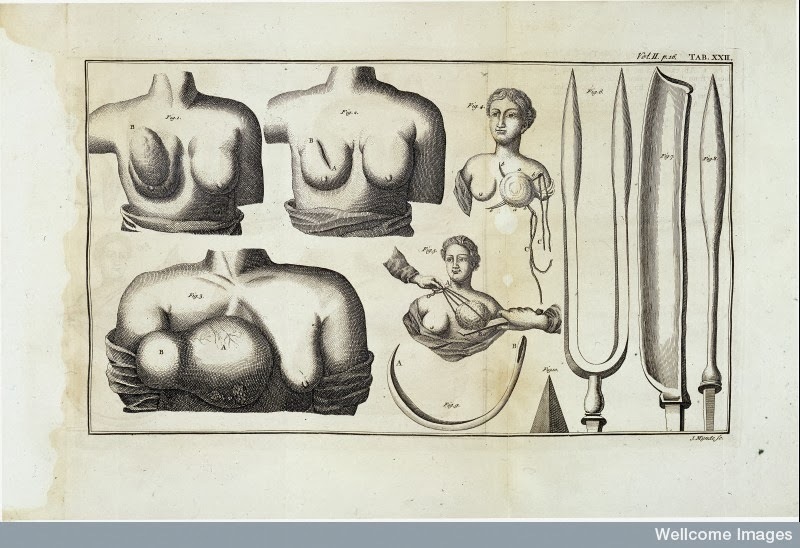 The following images related to breast cancer are courtesy of Wellcome Images. Ancestry.com. Virginia, Select Marriages, 1785-1940 [database on-line]. Provo, UT, USA: Ancestry.com Operations, Inc, 2014.Original data: Virginia, Marriages, 1785-1940. Salt Lake City, Utah: FamilySearch, 2013.